THE US GOVERNMENT shutdown that has left 800,000 federal employees without salaries as a result of President Donald Trump’s row with Democrats over building a Mexico border wall entered a record 22nd day today. The Democrats’ refusal to approve $5.7 billion (about €5 billion) demanded by Trump for the wall project has paralysed Washington, with the president retaliating by refusing to sign off on budgets for swaths of government departments unrelated to the dispute. As a result, workers as diverse as FBI agents, air traffic controllers and museum staff did not receive pay cheques yesterday. The partial shutdown of the government became the longest on record at midnight (5am Irish time), when it overtook the 21-day stretch in 1995-1996, under Democratic president Bill Clinton. 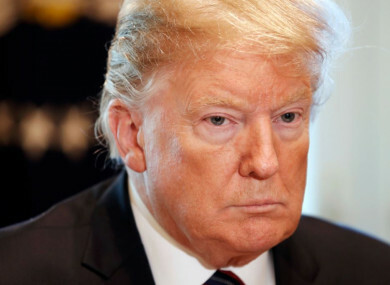 Trump yesterday backed off on a series of previous threats to end the deadlock by declaring a national emergency and attempting to secure the funds without congressional approval. 09.01.19 Explainer: Who's to blame for the US shutdown and is there an end in sight? However, Trump has accused the Democrats of only wanting to score points against him with a view to the 2020 presidential elections. Email “Government shutdown becomes longest in US history”. Feedback on “Government shutdown becomes longest in US history”.